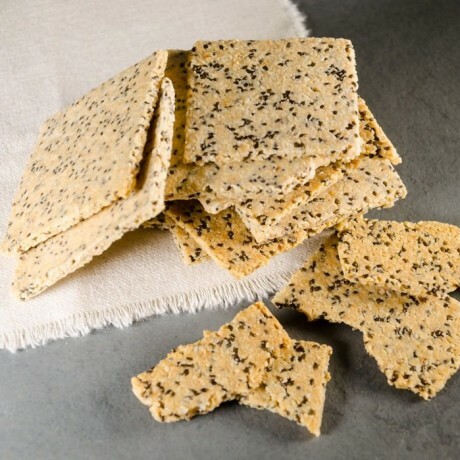 Handcrafted in small batches, these crackers really are something special. They are wonderfully crisp and delicate, and full of wholesome natural flavours. The chia seeds seem to explode in your mouth and release their goodness as you chew them. These crackers can be eaten on their own or enjoyed with something savoury as a light lunch. They are made in small, irregular square shapes, and make the perfect substitute for a bag of crisps. There’s nothing nasty or unhealthy in them - have a look at the list of ingredients!